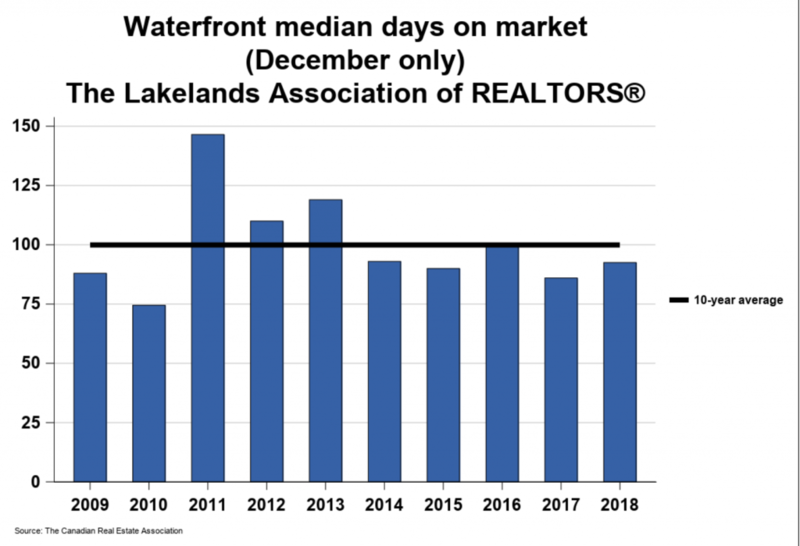 Sales of waterfront properties recorded through the MLS® System for the Lakelands region numbered just 18 units in December 2018. 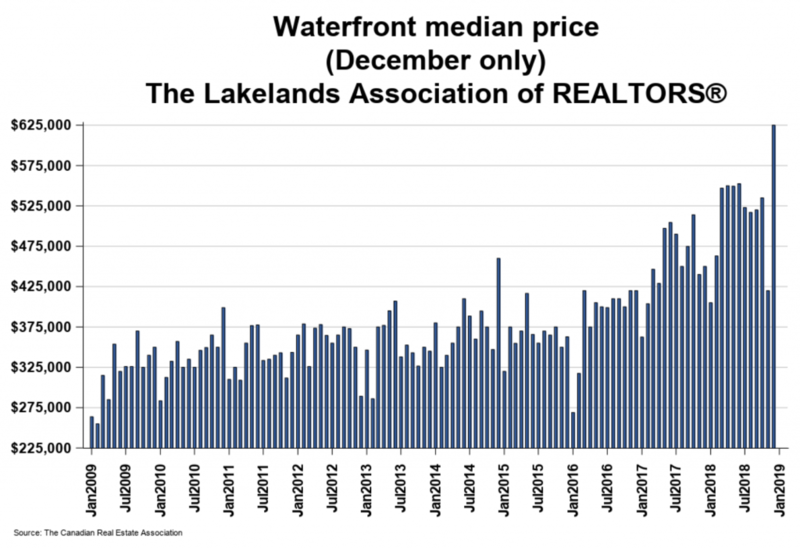 This was a large decline of 64.7% from December 2017. 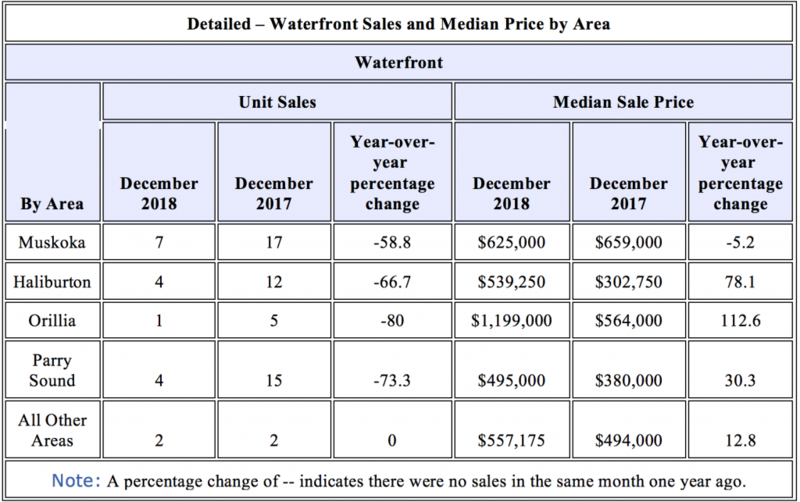 While December is always a quiet month for waterfront sales, this was a particularly low sales figure.